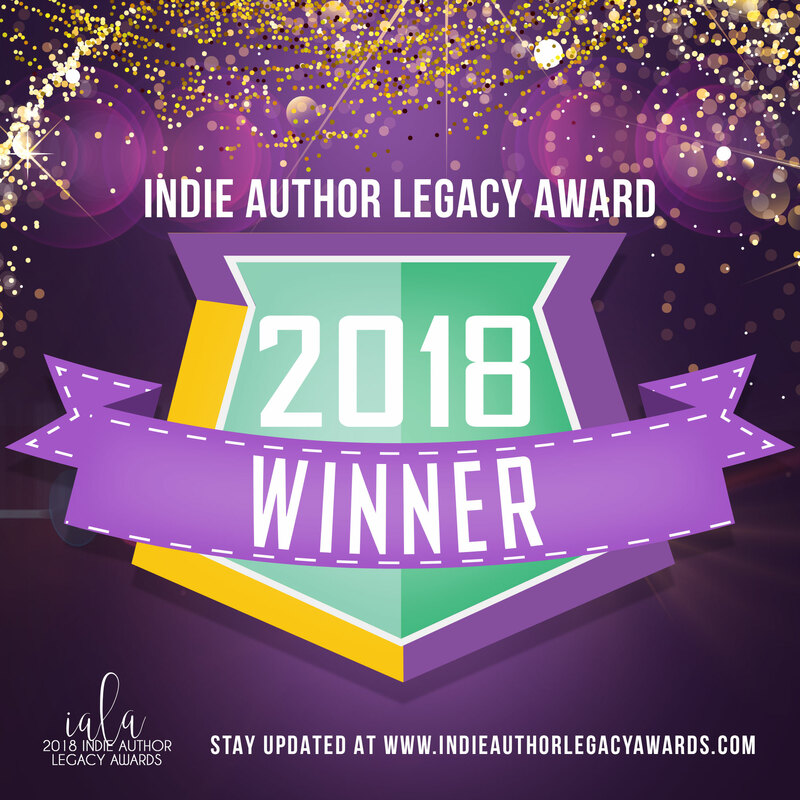 I am an Indie Author Legacy Award WINNER!! 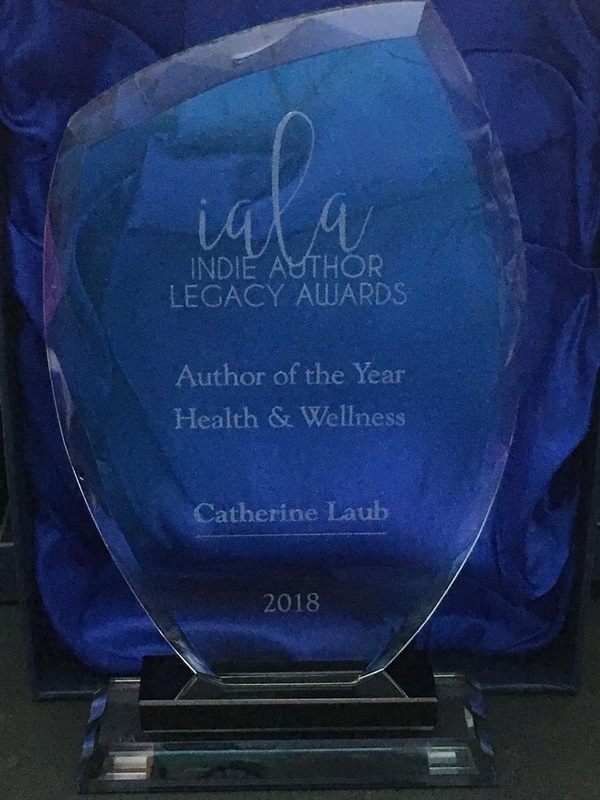 I’m so excited because I WON the #IALAward in Baltimore, Maryland on Saturday, June 23, 2018. The category is Author of the Year for Health & Wellness. The Celestial Spoon is my radio podcast brought to you on my iTunes page and the RHGTV Network. Through these interviews I love to help others and share modalities to guide them to feeling better. 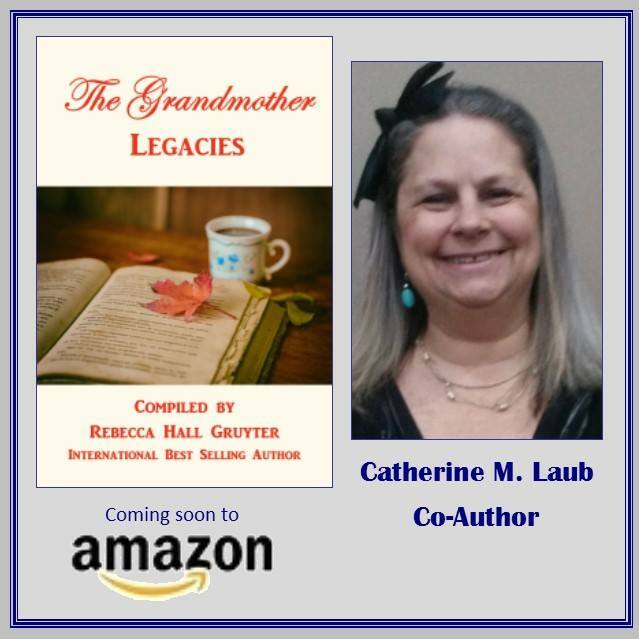 This book is a collection of stories by Catherine Laub. She is transparent and open in her writing. You will be inspired and encouraged. You will connect with her heart and her soul. She hopes her writing and sharing her story will help others. 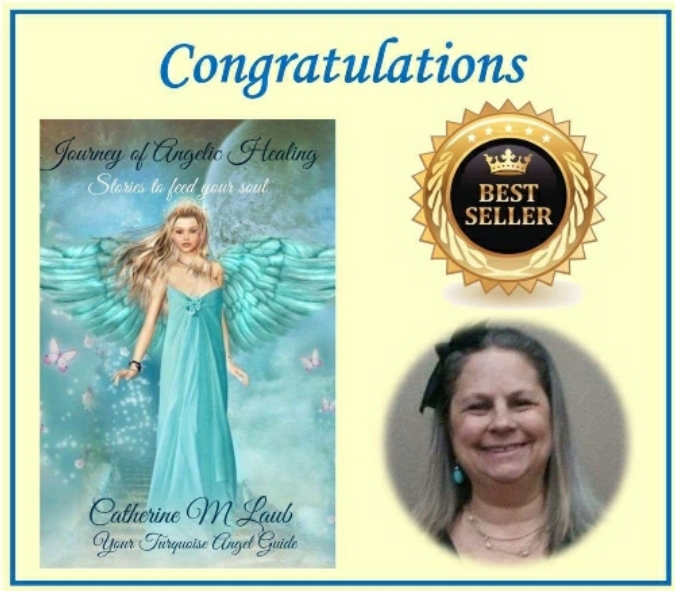 She is a powerful writer and is taking you on this journey with her is the amazing book. 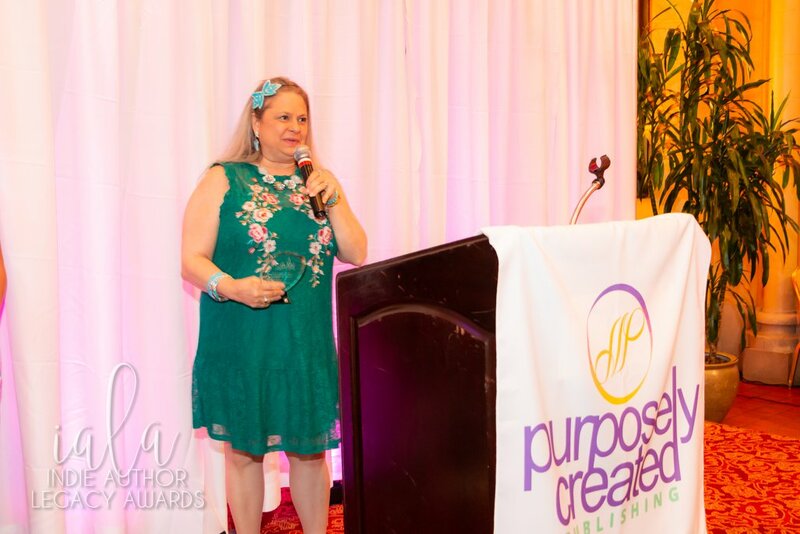 In sharing their stories, our authors will equip and empower you to discover your value, align to your purpose, step forward, and choose to SHINE! 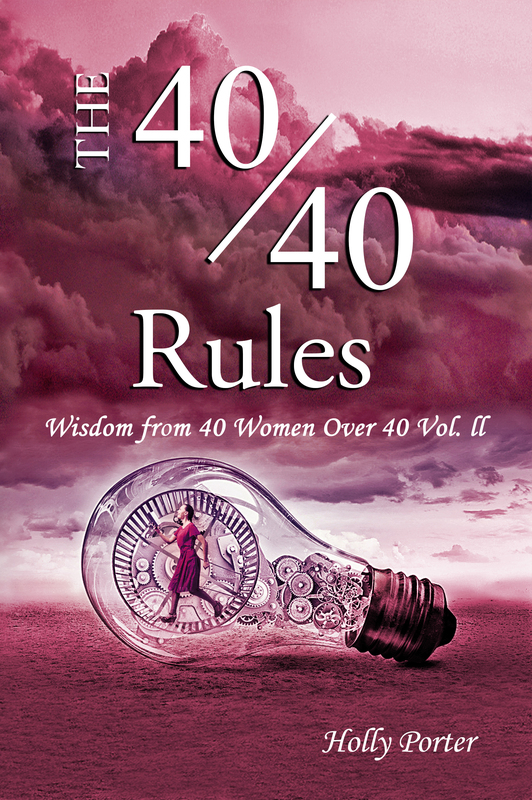 I believe this book is a living and interactive book that will speak wisdom, encouragement, and power into your life. Your heart will be touched and you will be motivated and to take action to step forward powerfully in your life. I want to invite you to pause, take a deep breath, and be ready to receive these powerful stories and messages so they can ignite a fire in you, inspire courage in you, and focus your purpose in your life to encourage you to take action now and SHINE! In creating this book, I asked each heart-centered and powerful co-author to share some of their personal story and journey with you. As they share from their respective journeys with you, they share what they have learned. They share their wisdom and what they wish someone had encouraged them with or whispered in their ear – especially in those dark and challenging times. They are committed to pouring into you, to equip and empower you in your life. 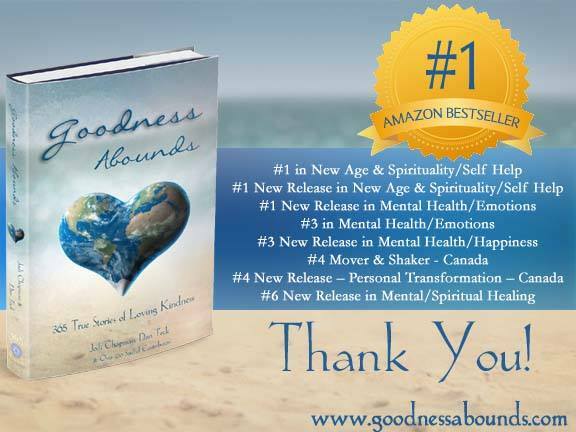 Throughout the chapters you will feel a consistent and transparent heartbeat to support you in very real ways as the authors often share what they wish they would have known. 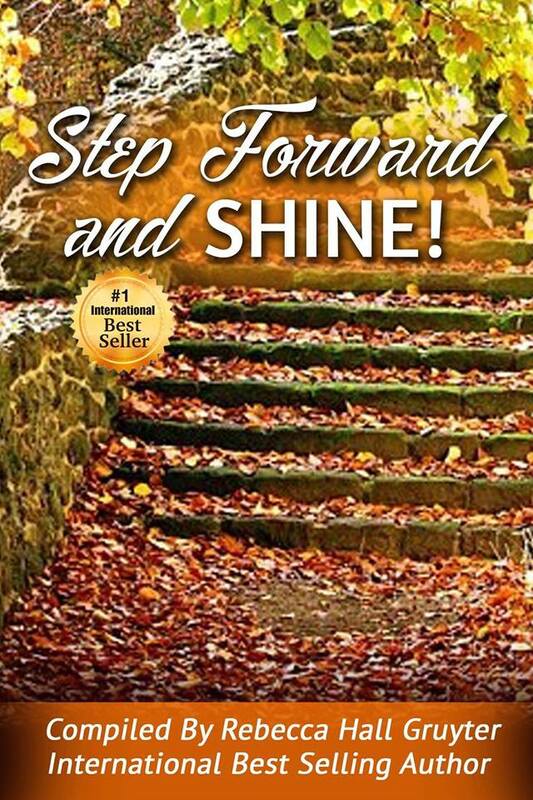 We want to make your path and journey easier for you step forward and SHINE! As the book compiler, I’m so proud of what each co-author has shared in their chapters, and am honored to have each of them leaning in to support you. I am equally honored that you have said “yes” to our book and are entrusting us to support you on your journey. 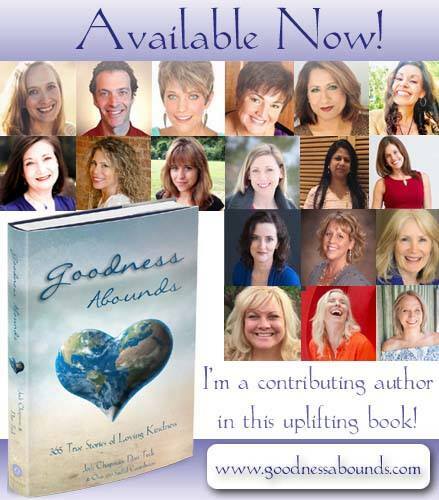 Goodness Abounds: 365 True Stories of Loving Kindness, and it contains personal stories from over 250 contributing authors of people expressing love, goodness, and kindness. The experiences range from huge expressions of lifelong love (such as caring for a child or aging parent with severe challenges) to small acts of kindness (such as complimenting a stranger) – all sharing one thing in common: they add to an ever-growing mountain of evidence that goodness abounds! 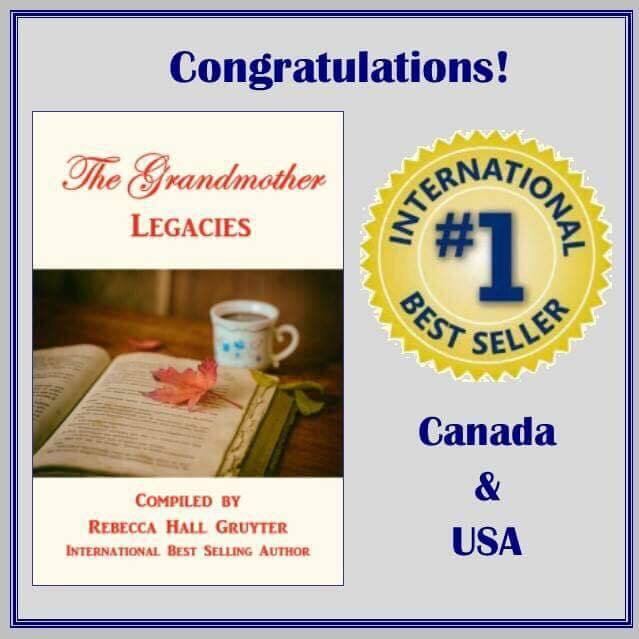 We are honored to bring this transformational book, The Grandmother Legacies! 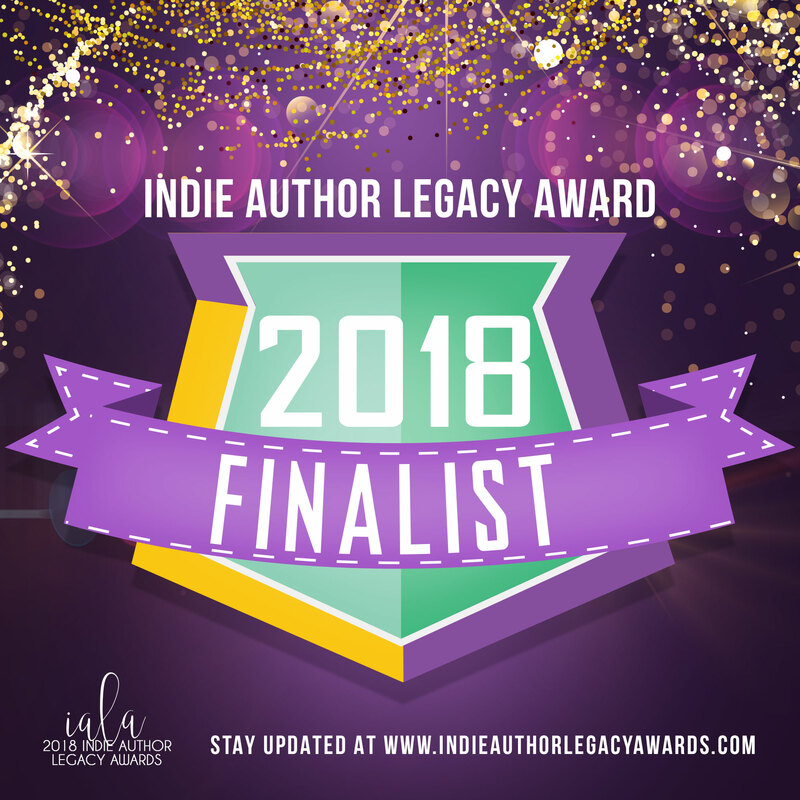 This powerful anthology includes over 18 powerful authors who share their multi-generational legacy stories, first-hand experiences, and expert tips to help you build a legacy that matters to you. Reading and sharing this book will encourage Women and Men around the world to stand in their legacies and build their own legacy on purpose and with purpose! May you choose to honor your own legacies and build one that matters to you! ***I wrote a small tidbit for a Best-selling series, Are YOU the Missing Piece? 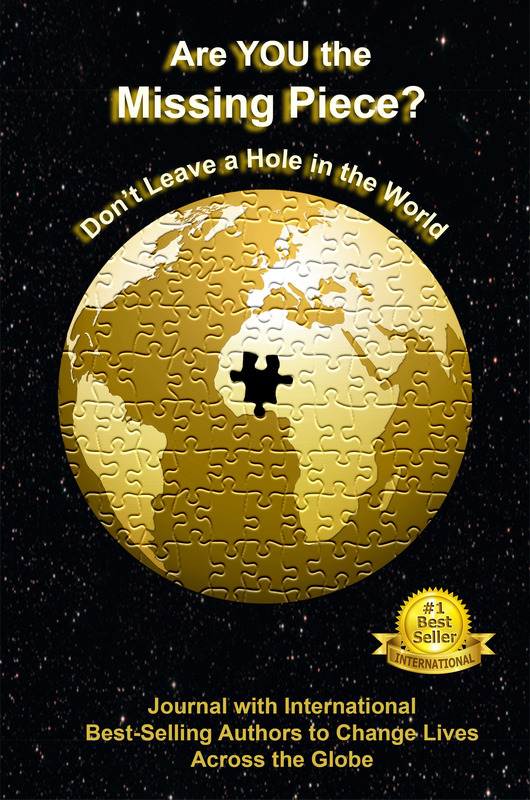 Don’t Leave a Hole in the World! It is a journal with short words of inspiration and wisdom and pages to write your inner most secrets and dreams. Your journal is your sacred place. Here you can capture and nurture your most creative thoughts and inspired ideas. 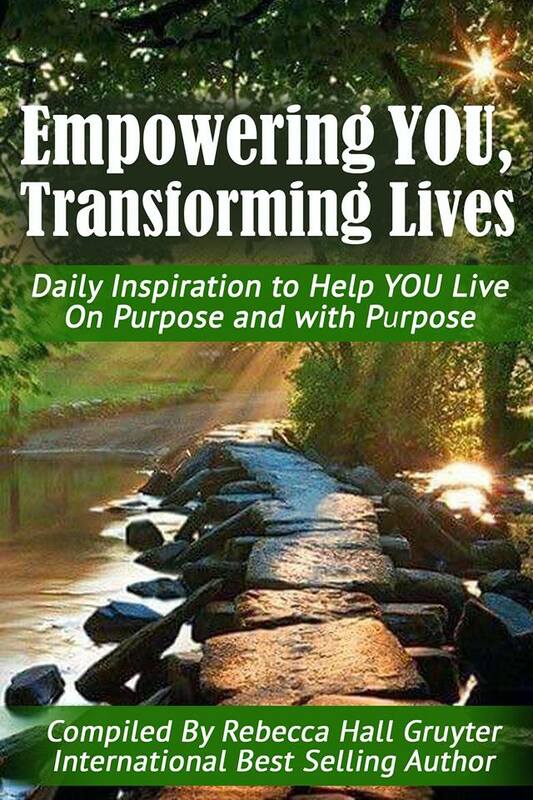 Within this journal, 190 of the finest minds and biggest hearts in the world of empowerment have come together to encourage you daily to realize your greatest vision. A portion of the proceeds from this book have been donated to SantiagoFoundation.net. Are YOU the Missing Piece? — the most recent in the series of #1 International Best-Selling books from Expert Insights Publishing — is an incredible wellspring for readers looking for daily support and encouragement to achieve business and personal success in today’s unpredictable world. There is so much power in the written word. Capture yours here for your personal enrichment, and share this journal with others to encourage their greatness. 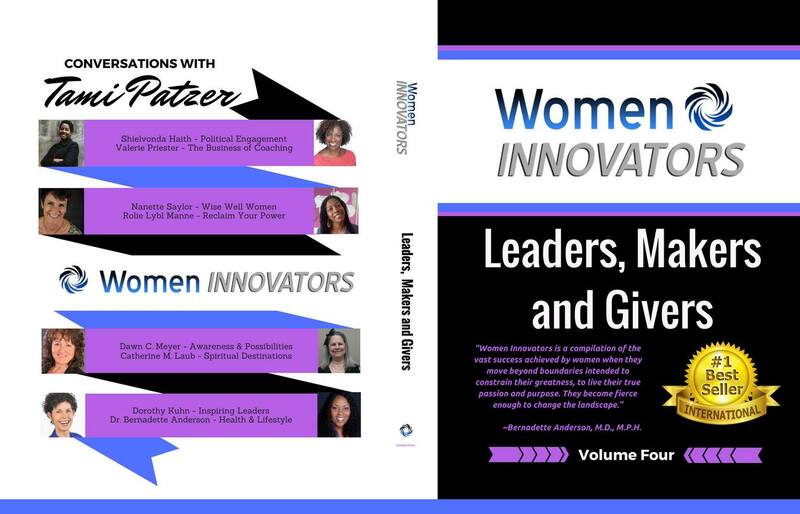 Women Innovators: Leaders, Makers and Givers (Volume 4) features women who make a daily difference. 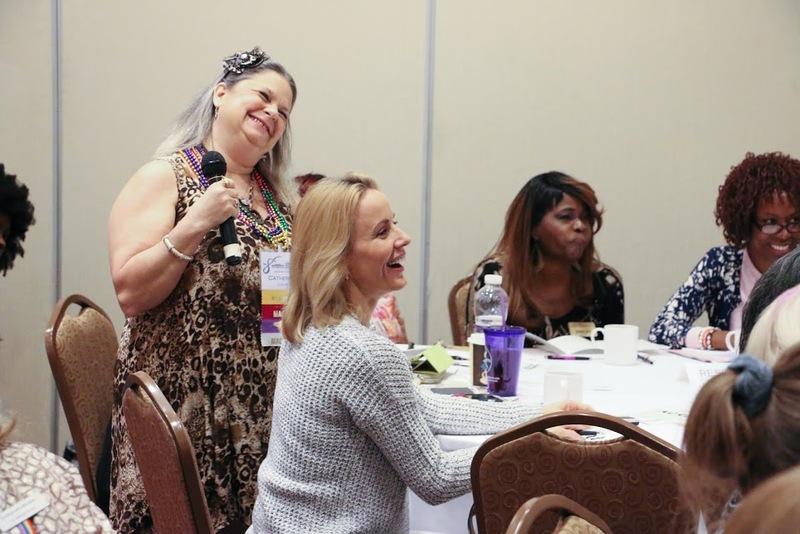 In this edition, Conversations with Tami Patzer, the following women innovators were interviewed and reveal their big messages and big missions: Bernadette Anderson, MD, Shielvonda Haith, Valerie Priester, Nanette Saylor, Rolie Lybl Manne, Dawn C. Meyer, Catherine M. Laub and Dorothy Kuhn. 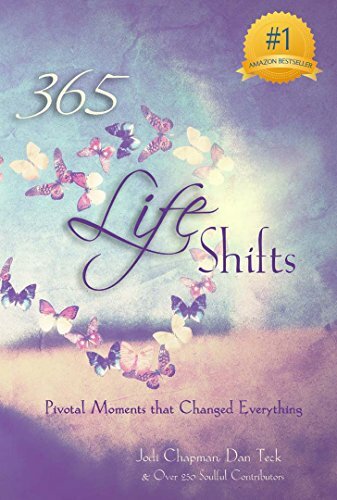 365 Life Shifts, a book of true-life stories of pivotal moments that changed everything! This soulful collection contains one inspiring story for each day of the year from over 250 authors, and I’m so happy to be part of it! Every so often, we have an experience that alters the course of our lives and changes who we are forever. Sometimes these moments fill us with rapture and flood us with insight. Other times they are blessings in disguise that don’t reveal their treasure until years later. However they show up, these moments can inspire us to live richer, deeper, and more authentically soulful lives. 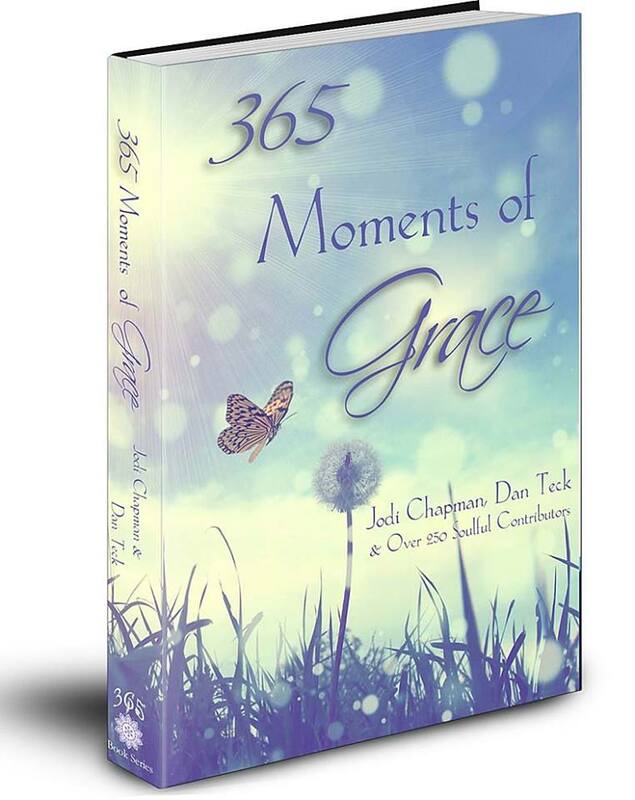 365 Life Shifts: Pivotal Moments That Changed Everything contains 365 personal stories (from over 250 contributing authors) of such life-changing moments – experiences that inspired, uplifted, shook us to our core, got us back on track (or onto a new track altogether), and led us toward our true selves. Please let me know what you think of the book and please put a review on Amazon mentioning my name. Thank you! 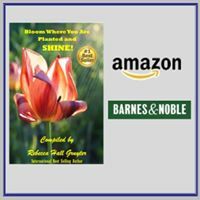 In this book my story is “ITS ALL IN THE JOURNEY” where I combine my spirituality and health issues to overcome most obstacles I have faced. In this book I contributed 4 very short stories. Grace can show up in many ways. It’s in the tangible signs showing us that our world is truly magical. It’s in the intangible feelings reminding us that we’re never really alone. It’s in every moment when the universe lets us know how loved we are, how loving our world is, and how connected we are to all that is. There are over 250 authors in this book, and we’re thrilled to introduce some of them on our Facebook page! It’s such a fun way to get to know the voices behind such a special book. 2. 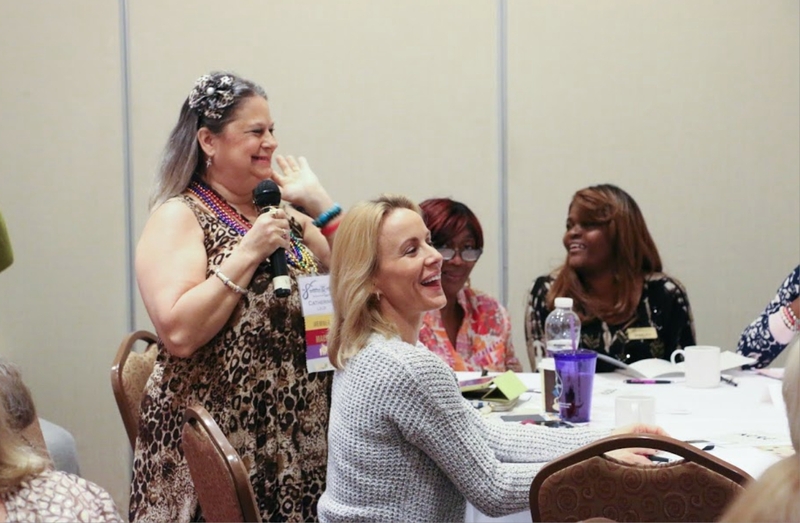 Why did you decide to join as a contributing author in our book? I am very spiritual and love the daily messages I receive for the growth of my soul and to share with others. I love reading inspiring stories like these and how uplifting they are so I wanted a chance to share my inspiring messages with all these wonderful people and spread love through the world. 3. What do you hope each reader will take into their heart after reading our book? I pray that everyone who reads our book gets inspired by all the stories and knows that no matter what they can accomplish anything they put their minds to. 4. How do you define grace? Grace is what we receive from God in our everyday lives. It gives us hope and lifts our spirits. 5. What’s one way that grace shows up in your life? I am amazed how far I have come to realize things can go so wrong but I can find the positive in everything. My biggest form of grace is my relationship with my husband. He has been very supportive of me through many negative situations. 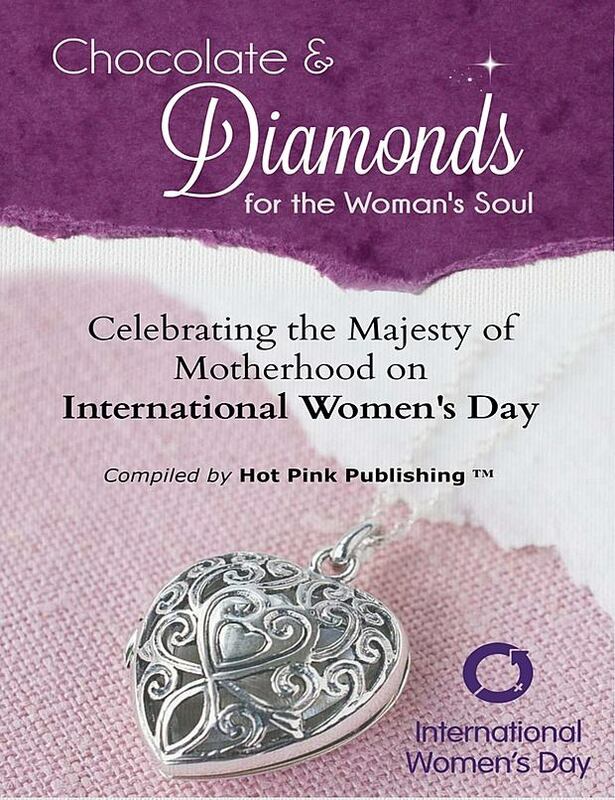 Chocolate & Diamonds for the Woman’s Soul: Celebrating the Majesty of Motherhood is the 2nd book compilation of the series featuring global stories of motherhood. Enjoy your reading as you meet women who have written a powerful chapter on how motherhood affected their own life. 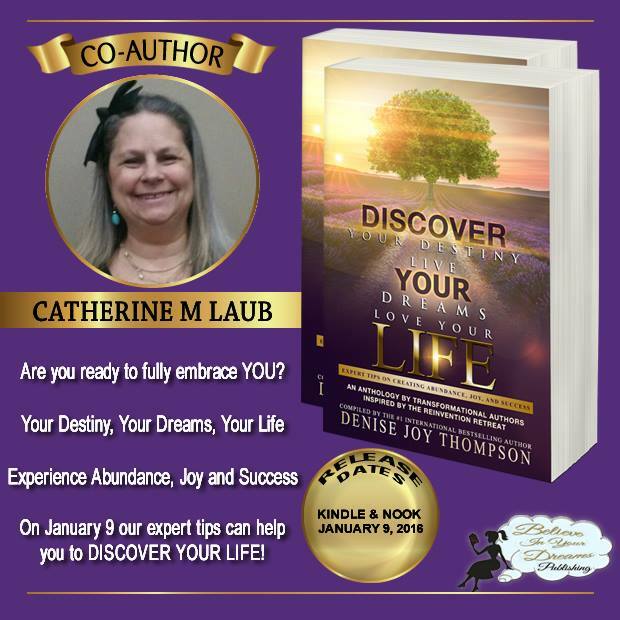 Discover Your Destiny, Live Your Dreams, Love Your Life, 33 women co-authors share parts of their life’s journey to empower, encourage and support our readers. A must read. I have to applaud the authors for this is a book filled with deep insights and stories told from the heart to inspire, motivate and empower you. Remarkable stories from women of all walks of life sharing their solutions to a variety of situations that anyone could be facing. These stories will uplift, delight, encourage and inspire. They are wonderful stories of courage and strength, they will inspire you keep moving forward and live the life of your choosing. 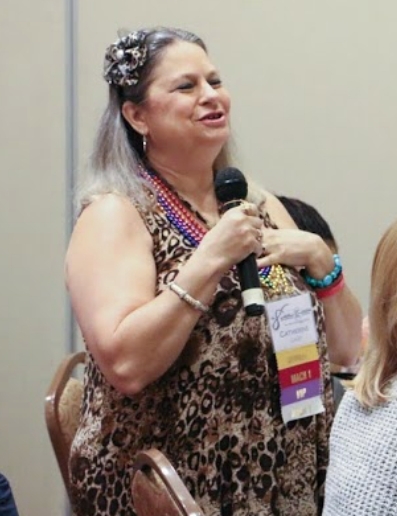 Laurie K. Grant, FutureWave Group Inc.
Denise Thompson Catherine M Laub, your chapter is truly amazing in how open you were about your mental illness. Your sharing can empower so many people who are not able to talk about these issues and oftentimes feel alone and that no one understands. Thank you for being part of this journey. Catherine M Laub. Your continued perseverance is an inspiration to us all. Continue on your positive path of destiny and life can only get better. 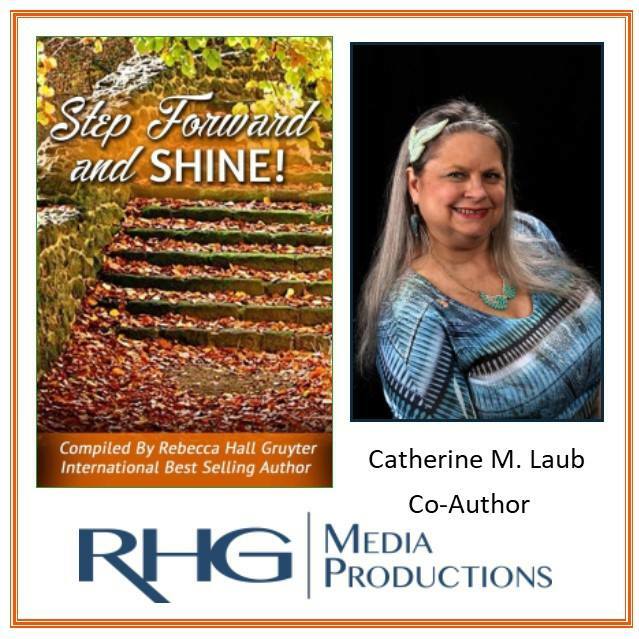 Thank you Cathy Laub for a insightful story. Well done. Looking forward to reading the other ladies’ stories. This an inspiration for all. 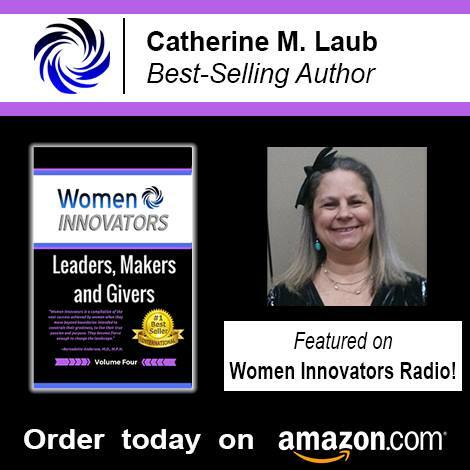 Catherine M. Laub has made significant advances and I am proud that she is sharing it as motivation to help others. I am proud to be a part of this book and journey with my co-authors. Each story is an inspiration to us and let’s us know even though we go through trials and tribulations we can overcome anything if we choose to. 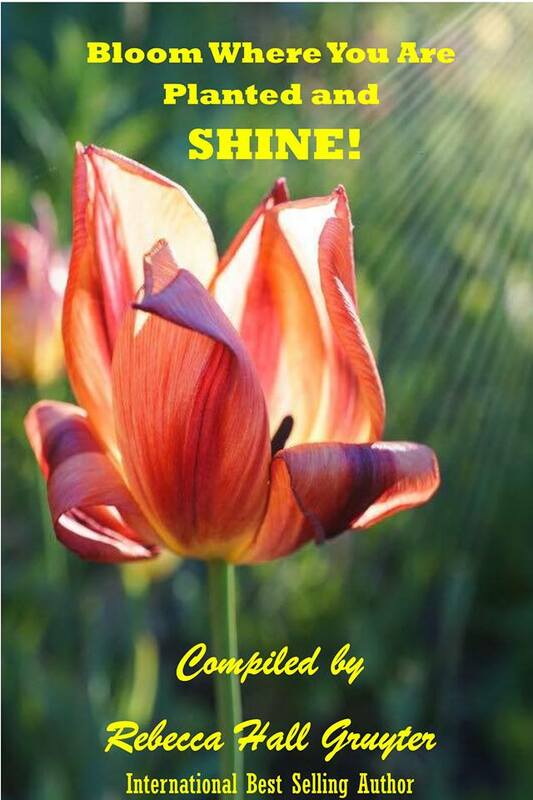 Love and Blessings to my co-authors and especially Denise Joy Thompson for all of her great work compiling this book. Chocolate & Diamonds for the Woman’s Soul brings together many voices into a masterpiece for the ages. Each “Timeless Treasure” represents a diamond which has endured the test of time, the heat of transformation and the release of inner beauty to the world. When you read each story, allow yourself to be transported into the story as you walk a mile with a team of women who said YES to releasing their untold story. Chocolate brings in the richness and flavor of our anthology just as it does when young child sits with a cup of hot cocoa in a cold winter day. 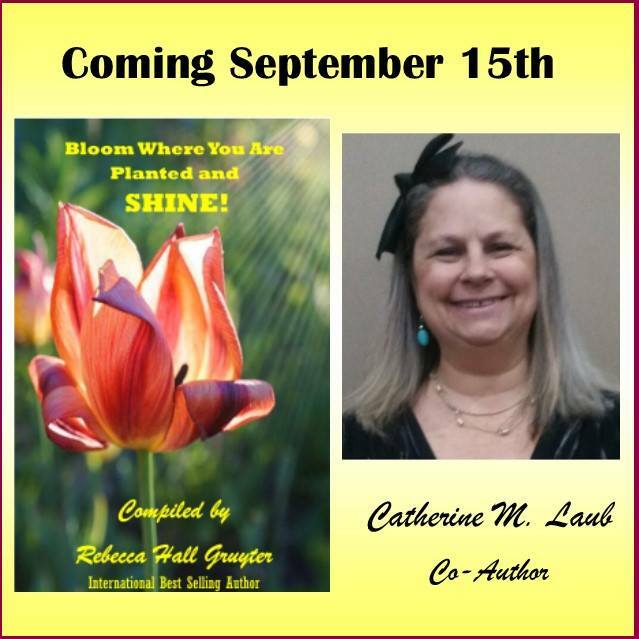 You can read My Healing Journey which was released on September 13, 2015. I just put down my copy of Chocolate & Diamonds – FOR THE WOMAN’S SOUL and wanted to thank each and every one of the co-authors for writing their story. Each co-author’s narrations of their triumphs is very well written and has captured my full attention and my heart. Chocolate and Diamonds is a book for everyone. It skillfully crafts the anthologies to showcase how each woman navigated life’s trials and tribulations and puts them into a neat package; that is not simply entertaining to read, but challenges your mind and your heart. It was liberating to read! Each Co-Author’s story is amazing and heartwarming. You will cry with them over the horrific pain they went through and you will cheer them on, as each one overcame seemingly insurmountable odds to survive and be transformed into the beautiful people they are today. Perhaps you will find reflections of yourself in some of the stories. After reading Chocolate & Diamonds – FOR THE WOMAN’S SOUL, you will become completely captivated by each women’s vision and you will feel inspired and empowered to reach for your own dreams. Chocolate and Diamond’s has created over a hundred strong, inspirational voices; with images so vivid and compelling, it is almost as if you were watching a movie. After reading Chocolate and Diamond’s- – FOR THE WOMAN’S SOUL, I believe that being empowered means you have the strength and courage to move past fear in all circumstances, not just one isolated event. I cheer you the Co-Authors on and celebrated all your triumphs!! I encourage you to keep going, keep learning, keep growing and become more of the authentic, beautiful soul that you are. Don’t stop at just this one story, create your own living novel of change and empowerment! Chocolate and Diamonds was a delight to read. The talent of these amazing Co-Authors will ensure that there will be many more Chocolate and Diamond’s book to come, to inspire and empower us to take our own leap of faith and create our own story of change! Good read. Lots of interesting stories from very strong ladies. These stories are all fabulous. They are inspiring and easy to relate to. 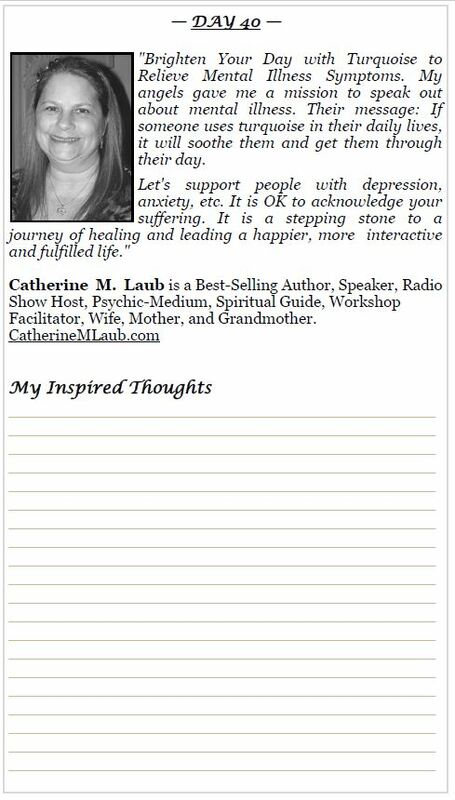 After reading “My Healing Journey” by my mother, Catherine M Laub, I learned a little more about her and what she has endured. She teaches us about coming through tough health issues and knowing it is possible for us all to create our own healing journeys. Your story was amazing. God bless. You’re an amazing woman serving all other women. I love you. Hugs all day long. This is a wonderful gathering of many women who came together to write their stories of trials and tribulations and coming through them. I read several stories so far and love them all. There is so much authenticity here and much to be learned by the reader. I applaud Denise Joy Thompson, Laurie K. Grant, Jeanne Dexter. Shameka Andrews, Joshua Mancil and many others for their long hours and hard work to bring the compilation together. Stepping Up and Stepping Out to Share Your Message Leading Experts Share What It Takes to Claim Your Place On the World Stage. You’ve heard it many times before … the fear of public speaking tops the list of fears. That’s right, most people are more afraid of speaking in public than they are of heights, flying, snakes, bugs and even drowning! Why then would any rational human beings want to put themselves in the uncomfortable position of standing in front of the room, all eyes and ears on them? Stepping up and being charged with the responsibility of getting and keeping the audience’s attention while endeavoring to provide valuable content. Within these pages are the stories of the courageous and determined men and women whose commitment to share their messages outweighed any concerns or fears about stepping onto the world’s stage. Whether you’re claiming your place on the stage in your own corner of the world or you’re eager to reach all four corners of the world, this book will ignite your passion, inspire creativity and move you to action. In this book my story is about my own Journey to the Stage where I talk about where I came from struggling with health challenges and how far I have come. I also introduce my new campaign to speak out about mental illness because of my own struggles with depression and anxiety. The paperback and Kindle versions were both released in October.